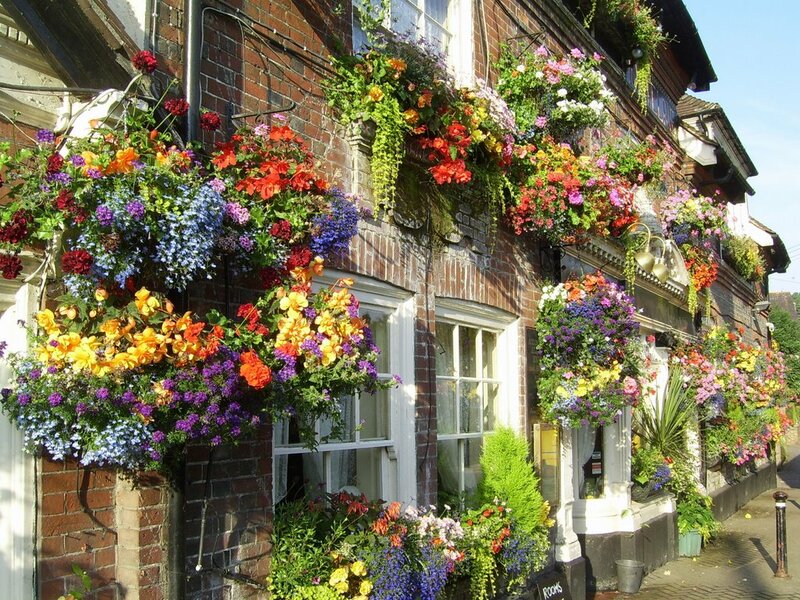 ONCE UPON A TIME there was this Inn in Bramber, West Sussex, called the White Lion. Today it’s my local pub and called the Castle Hotel. How did that happen? Well, it’s first mentioned, as the White Lion, in Henry VIII’s time in the 16th century (1526, as ‘dispensing alcohol’) but it could go back further than that. 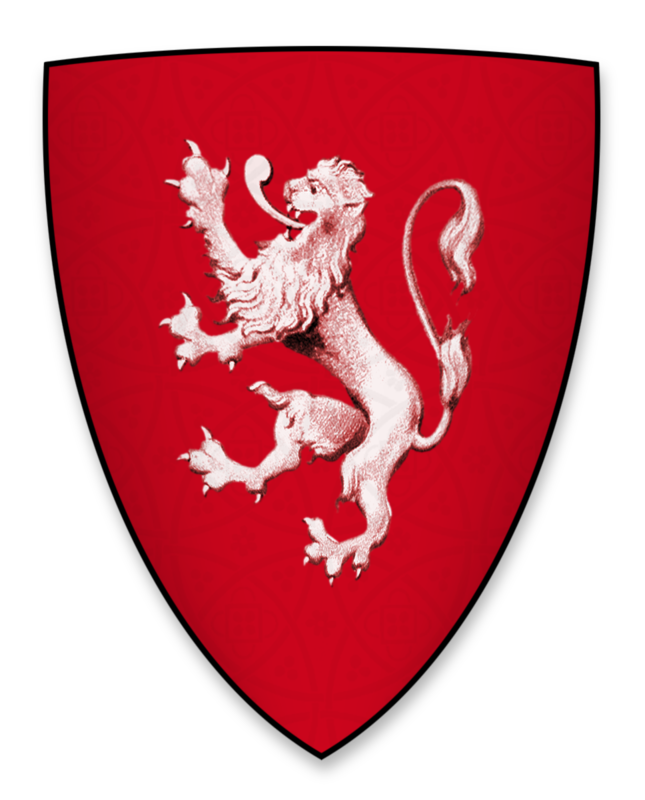 In the ‘olden’ days, Inns took their names from the local Lords’ family crests and Bramber’s Lord after William the Conq was William de Braose (see my blog on Bramber Castle way back in April) and the crest of his son, Philip de Braose, (c 1096-1135) was a lion – but a gold one. 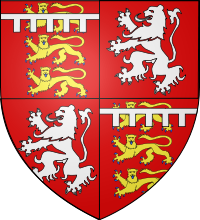 The coat of arms of William de Mowbray (1173-1222) was a white lion and Bramber became part of the de Mowbray estate by marriage in 1298, when John de Mowbray married Aline de Braose. 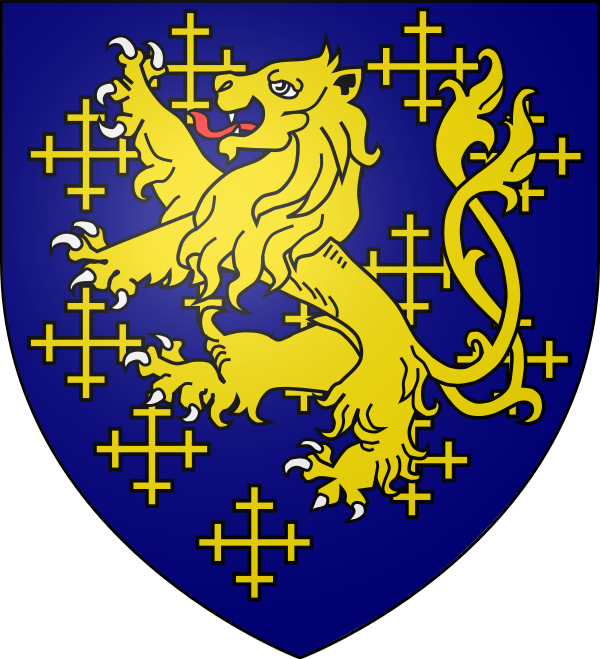 The two lions merged when de Mowbray became Duke of Norfolk in 1397, so the pub could date back to sometime then …… oh yes it could. 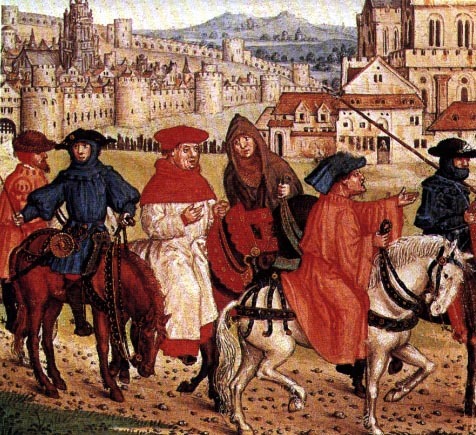 It would, of course, have been quite a popular Inn as it was on the main Pilgrims road from Canterbury to Winchester (and vice versa) so would have been a stopping off point for travellers throughout the Middle Ages. So, a Pilgrims’ Progress – to a pie and a pint. Nothing much has changed there. The White Lion doubled up as the Bramber court house which was most likely a room on the first floor. 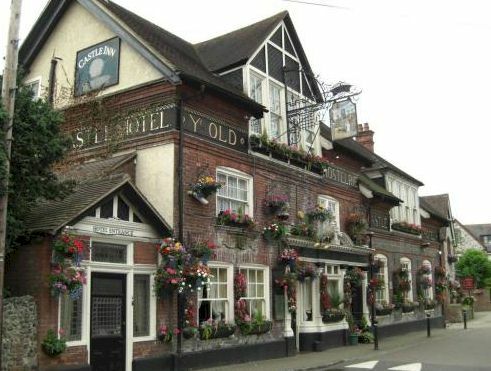 In fact, in 1552, the County Coroner and 14 jurors gathered at the court house to decide whether the innkeeper of the White Horse, William Battner, should be tried for assaulting a Joan Davyd, the servant of the innkeeper of the ‘other public house’ in Bramber (wherever that may have been). 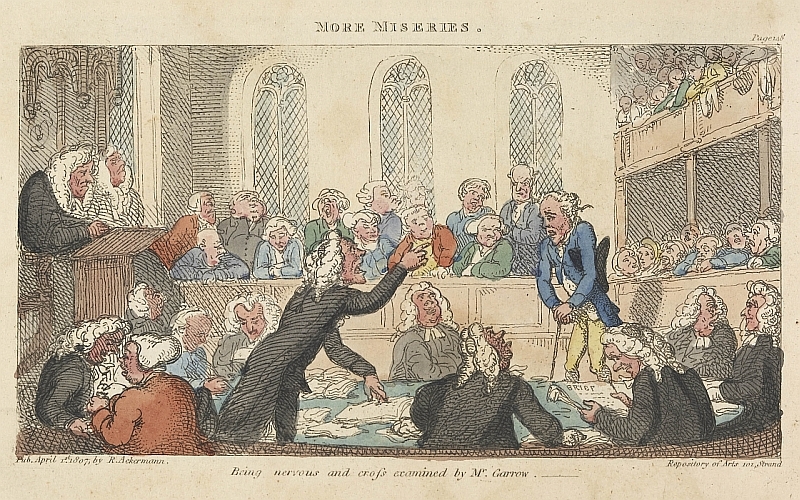 Joan had been fighting with William’s son, John, when William’s dogs had been attacking pigs belonging to the ‘other innkeeper’ (widow Kayne); the pigs had been causing damage on Battner’s land – get it? Anyway, Joan died as result of John wacking her ear with his hand. The jury of the inquest held that Joan died of a natural death because she had been suffering from black jaundice and was already weakened, so the blow did not cause her death (don’t try this at home as today it would be manslaughter. Don’t say you haven’t been warned). By the 17th century the Inn was sleeping around fourteen people and this increased to around twenty by the early 18th century. There were four ground floor rooms and five on the first floor (including the court ‘house’) and a stable yard at the back (now the new family restaurant, formerly the games room). From 1780 to 1833, the Inn was owned by the Gough family who, from 1713-1860, also owned St Mary’s Tudor House along the High Street. So the Goughs were obviously an affluent bunch who dabbled in Inn-keeping (well, Inn-ownership … I don’t suppose they got their hands too dirty). From 1841 to 1871 the White Lion was owned by James Potter whose son, Walter, displayed his stuffed animals at the Inn from 1861. 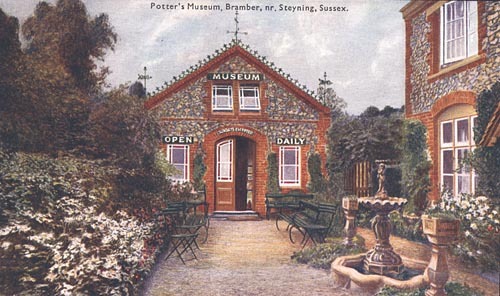 He was, later (1880), to set up the Potter’s Museum (for more info click here) in, what is now, the gardens of Bramber Villa . It was when the Inn changed hands from James Potter to Henry Kelcey in 1871 that it changed its name to the Castle Hotel. This was as a result of the many visitors to the ruins of Bramber Castle, assisted by the opening up of the railway in 1861. Picnicing up at the Castle ruins led to Kelcey selling refreshments up there, so the change of name was a promotional ‘thing’. When the Duke of Norfolk sold Bramber Castle, the 1925 advert included a reference to a £70 per year rental paid by the Kemp Town Brewery (in east Brighton) which meant that the Castle pub was then a tied house of the brewery but continued to make money up at the Castle ruins. And why not. Now we just get the ice-cream man. I mentioned last week that Lawrence of Arabia’s motor bike sold at auction for a record £315,100. 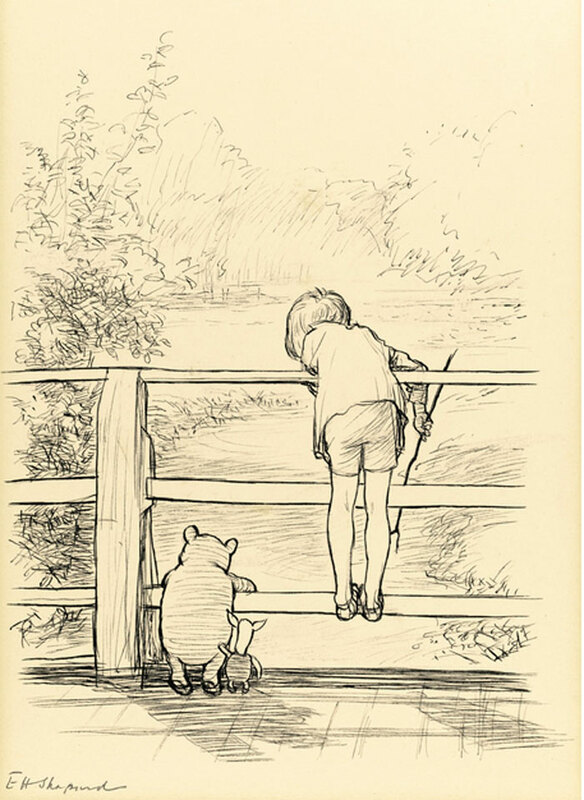 Well, keeping up with such prices, E.H. Shepard’s signed drawing of Winnie the Pooh et al playing pooh sticks sold at Sothebys this week for £315,500 – a record for any book illustration. I think I’m in the wrong buisness. Pooh, Piglet and Christopher Robin – bargain at 300k! My fine friend, Christian de Belvedere, called in on my rooms the other day sporting a shiner of a black eye. 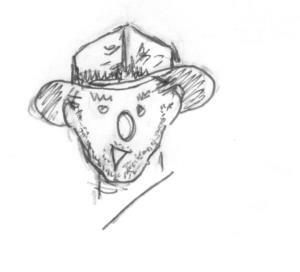 “My dear fellow, what happened to you?” I enquired with deep concern. ‘No, no, my dear,’ I replied. ‘Good Lord, no, no, my dear’ I replied. ‘Certainly not, my dear,’ I replied.